YKK AP's Monumental entrances offer an abundance of design applications. They feature 4" and 5" wide stile options and are produced with a typical 3/16" wall thickness providing exceptional durability making it ideal for use in high traffic areas. 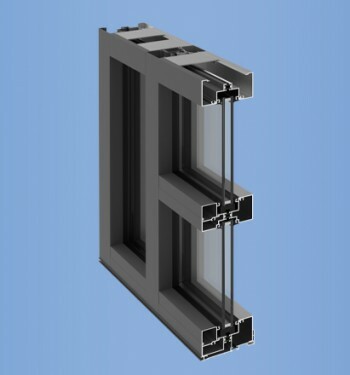 VersaJamb®, our unique reinforced tubular door frame, allows for side-lite glazing without shear clips while maintaining the structural integrity of transom frames. 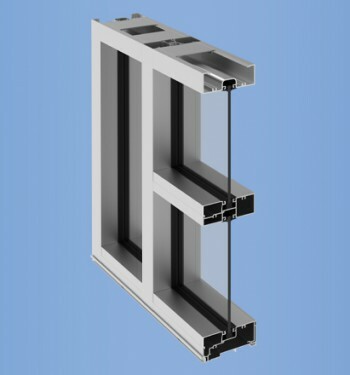 The 40M/50M entrances include a removable vertical mullion option for pairs. Door corners are mechanically joined and welded to ensure that they are more than capable of withstanding today’s most demanding conditions. Standard hardware options include the Smart Series ergonomic Push/Pull, Von Duprin® 33, 99, and YKK AP standard touch bar exit devices. Custom entrances are available with options for one inch glazing, mid rails, high bottom rails and will accommodate most custom hardware. YES 45 FI (2” x 4-1/2”) is a center set, flush glazed framing system developed for 1” insulating glass and other types of infill panels of varying thicknesses. YES 45 FS (1-3/4”x 4-1/2”) is a center set, flush glazed framing system designed primarily for 1/4” glass or infill panels 1/4” to 3/8” thick. YES 45 FT is a thermally broken, center set, flush glazed storefront system for monolithic and insulating glass. YKK AP’s family of storefront products is now more versatile with the addition of an energy efficient front set product. Glass is set to the front to maximize energy performance and blend with the aesthetics of curtain wall. 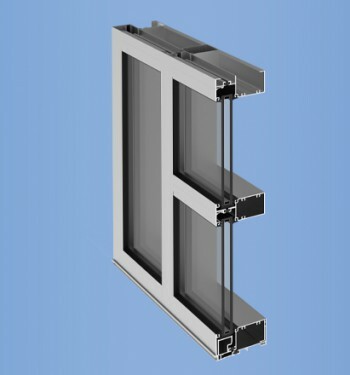 About YKK AP America Inc.
As the North American arm of the global YKK AP group of companies, YKK AP America is a technology-oriented manufacturer of commercial facade systems and residential doors and windows. With every finished good, we push the boundaries in next-generation manufacturing. With every architectural application, we create new value. Combined with our close customer connections, this forward-thinking approach enables us to offer the latest in comfort and energy conservation for a more sustainable society.